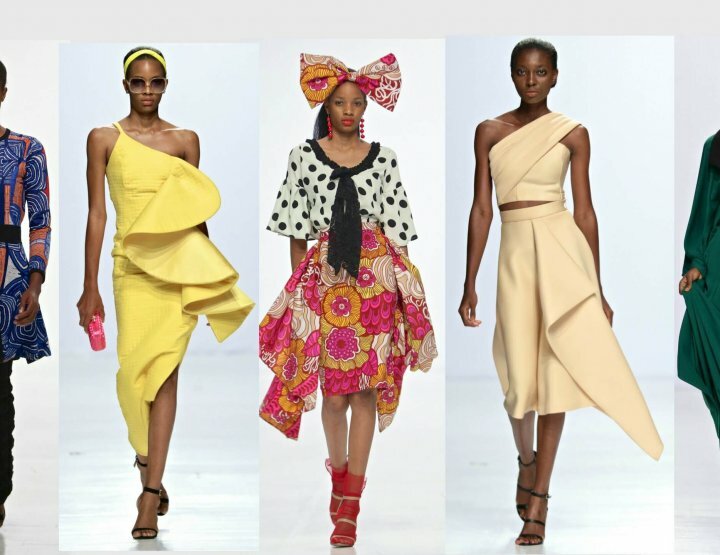 Lagos, how to organize a fabulous african fashion week? Lagos Fashion Week is over for this year! After talking about the purpose of african fashion weeks, let’s talk about one of the greatest! Named by the Vogue, the West Africa’s capital of culture, Lagos is the place to be. Therefore, its fashion week is where fashion influencers have to be. This year, you could meet Tamum McPherson, Trevor Sturrman or Suzy Menkes. Nigeria’s apparel and footwear market is estimated to have a market worth of $4.7 billion according to Euromonitor. Lately, Michelle Obama, Lady Gaga, Beyonce and Lupita Nyongo were seen wearing clothes by Nigerian designers. In 2002 the Nigerian government banned fabric imports in an effort to safeguard its withering textile industry. There’s a real fashion ecosystem in Nigeria from the production to the distribution. Even though, designers still feel the need of a real regulation in their industry from the government, it’s a great time to be a Nigerian fashion designer. In 2011, Omoyemi Akerele created the Lagos Fashion Week. “I realised that there was a huge gap that needed to be filled and, for the industry to grow, it was important to think of a platform that would act as a catalyst on the scene to spearhead change and work towards positioning fashion properly in Nigeria, and of course in Africa, as a business.” said the founder to The Guardian Life. As the industry grows, Lagos Fashion Week plays a real role in discovering new talents, bringing light on some designers and creating business opportunity. 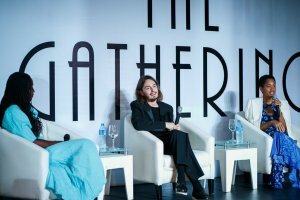 This year, it all started by “the gathering”, a fashion business dinner. The intimate by-invitation-only event was held in the Wings complex welcoming editors, designers,influencers and models. The panelists discussed about “The importance of platforms in fashion’s eco-system”. Designers Adebayo Oke-Lawal, Latti Ronke or Bridget Awosika were attending this event as long as Mary Edoro from Bella Naija or Media Star Vimbai Mutinhiri. Two years ago, Omoyemi Akerele, Lagos Fashion Week Founder, created a campaign named “Connecting the Dots”. She believes there’s no fashion industry if there’s no connection between the designers and those who make the cloth, market it, etc. During the Fashion Week, apart of the shows, there’s a talent discovery initiative named Fashion Focus Africa that creates access to networking opportunities, knowlege transfer and a Fashion Focus Fund. For this edition the initiative was expanded to other African countries this year. The top ten included designers from different countries: Duaba Serwa and Larry Jay from Ghana; Moshions and Haute Baso from Rwanda; Katungulu Mwendwa and Jasleen Matharu from Kenya; Naolila from Angola. Jasleen Matharu – Kenya; as well as Talakija, Ili and Rick Dusi from Lagos. During a recent visit in Nigeria, Theresa Mays, British Prime Minister wore a custom jacket by Emmy Kasbit, the winner of the first Fashion Focus. One of the great moments of this fashion week was the show of Tiffany Amber. She choosed the concept store Alara to present her collection. Rich Mnsi’s pretty colors, Lisa Folawiyo’s prints, Deola Sagoe’s structured shapes, Maxhosa Laduma’s knitwear and Black Coffee’s original cuttings made a great impression. Three francophons were featured this year. Elie Kuame matched tulle and plaided patterns, Adama Paris presented black silhouettes with big hats earrings but the most awaited was Sarah Diouf from Tongoro Studio since Beyonce wore her creations this year. Her flowing silhouettes and prints did not disappoint. Five designers (Christie Brown, Tsemaye Binitie, Tongoro Studio, Meena and Clan) were asked to craft their take on a classic shirt and make 100% made-in-Nigeria pieces that were available at the Lagos Fashion Week Exhibition Tent through October 27. The collaboration between the Designer’s Consociate -a platform comitted to engineering growth and development by creating sustainable solutions across the fashion supply chain- and Lagos Fashion Week aims “to bring to the forefront how fashion can be a source of job and wealth creation” says Omoyemi. The shirts were produced by beneficiaries of the Human Capital Development Center, an initiative managed by Style House Files. Orange culture closed the show with a ‘Orange Moon’ which was pictured on the screens and looked somewhat like a blood moon. They provided a little piece before the show as a context “We use our Spring/ Summer 2019 to explore the fight for identity in a world where ideologies and stereotypes are constantly pushing against one’s ability to fully bloom. Most societies have coerced people into managing two personalities, one in the daytime, one at nighttime.” The models all came at once on the runway showing a colorful and playful collection. The singer Falana closed the show as Bayo Oke Lawal, the designer were receiving a standing ovation. Lagos Fashion Week is more than just clothes showed on a runway. It is a platform where designers bloom and find opportunities. It is a place where you can make business, where some can learn and be empowered. That is what we are waiting from a fashion week. 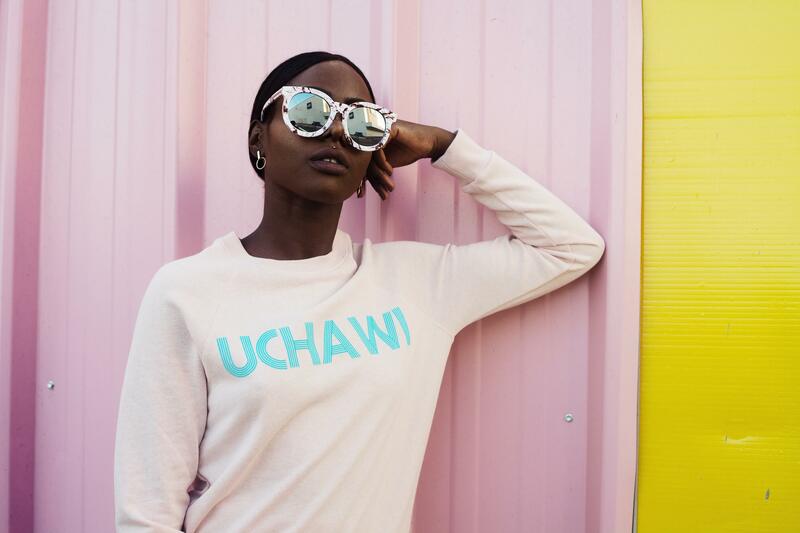 What's the outcome of African Fashion Weeks?